Devon has been playing Magic since 1994. 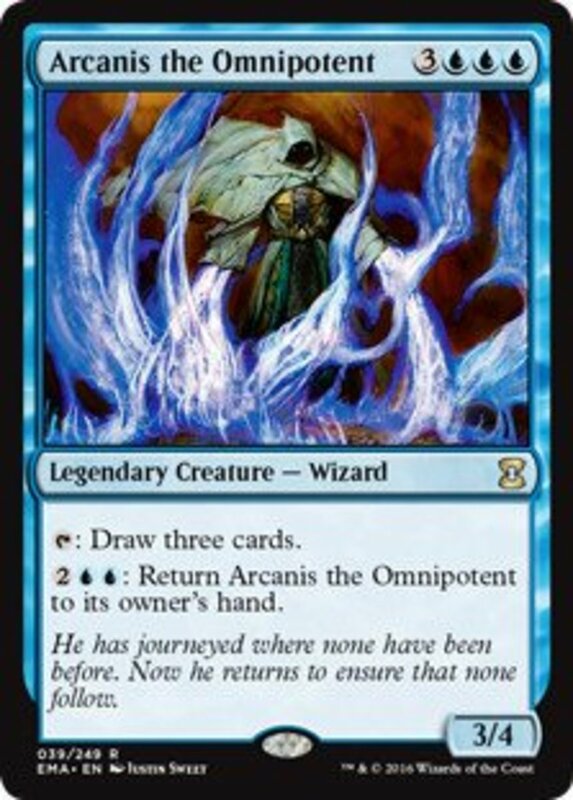 He is an enthusiastic player who mainly enjoys the Legacy, Vintage, and Competitive EDH formats. One of the things I really love about CEDH is the access to all of the powerful combinations of cards and the ability to win on the slimmest of margins. CEDH has access to many game-finishing combos, but most of them require some sort of engine to set up the win conditions. An engine, in this case, is a group of cards that, together, generate a vast amount (or an infinite amount) of a resource. Your combo finisher then uses this resource to win the game. 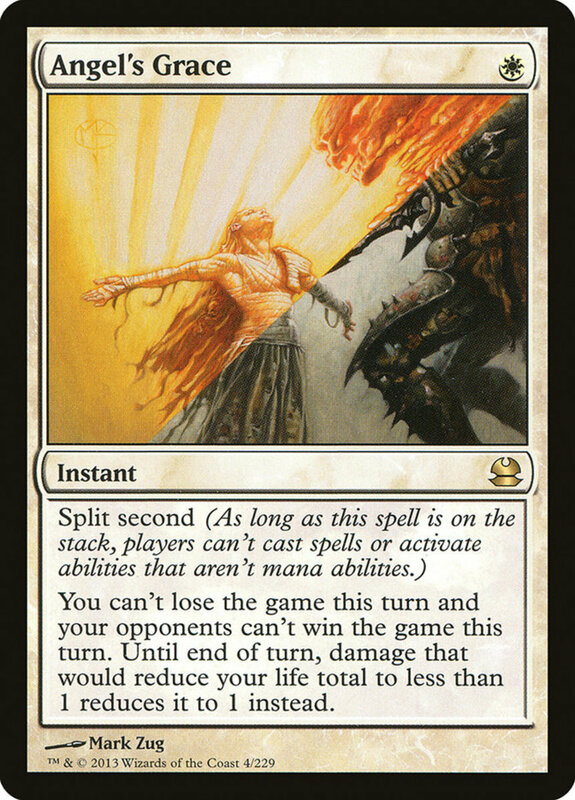 In this article, I'm going to focus on some of the specific engines that produce a game-winning amount of resources for your combos. They are not listed in any specific order. 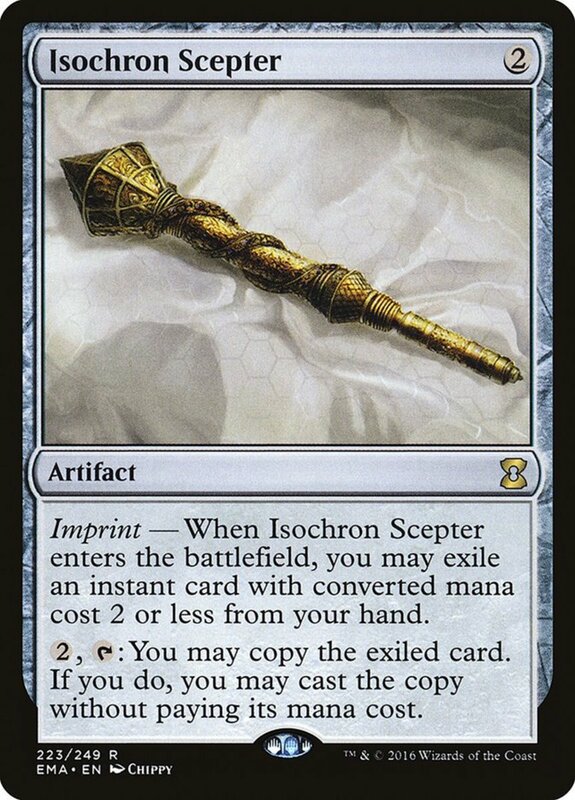 One of the more common engines in CEDH is the combination of Isochron Sceptre and Dramatic Reversal. You essentially imprint Dramatic Reversal onto your Isochron Sceptre. When you use the ability on the Sceptre to cast the Reversal, it will untap the Sceptre and any non-land, mana-producing permanents you have in play. 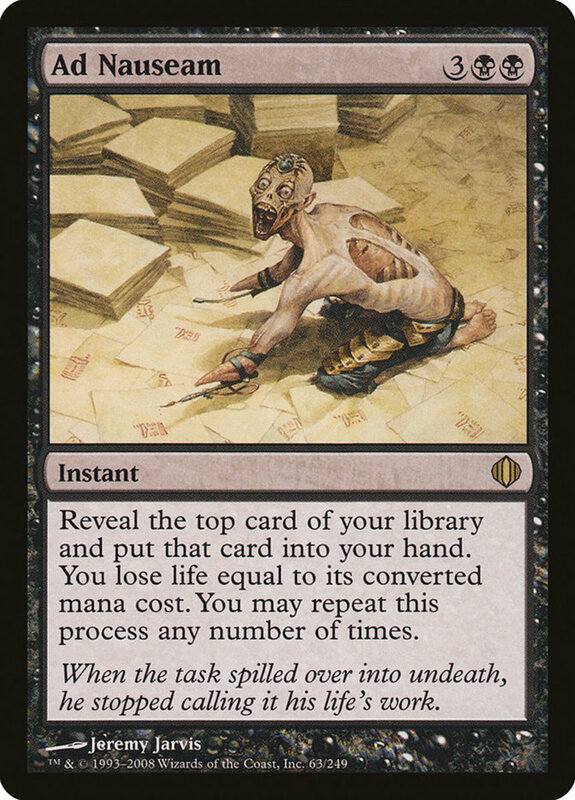 If all of your permanents produce more than a total of two mana, then you can produce infinite mana to dump into any combo win that you choose. Most blue decks run this engine as it doesn't add a ton of fluff cards to the deck. You normally run a decent amount of mana artifacts, anyways. You can also add Swan Song and Copy Artifact into this engine to produce a never-ending stream of swans to win the game with. 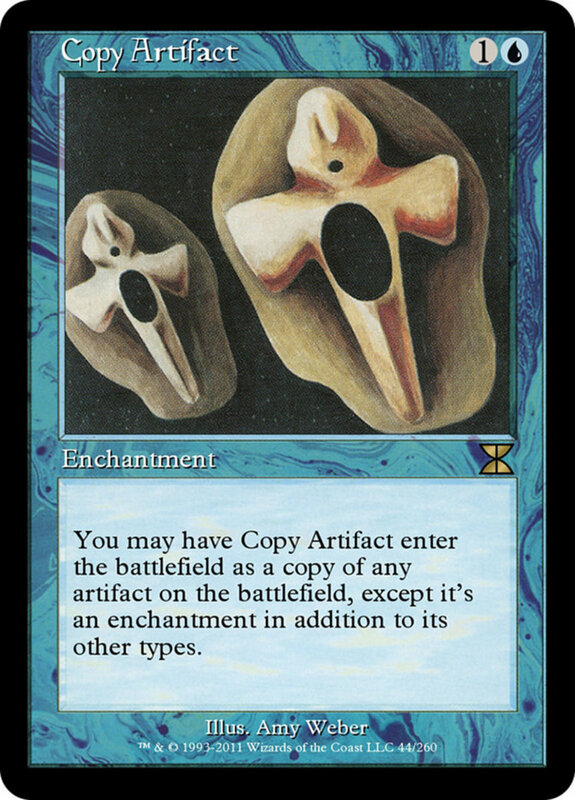 You want to cast Copy Artifact on your Isochron Sceptre (with imprinted dramatic reversal) and imprint your Swan Song onto it. Cast any random spell that can be counterd by Swan Song. 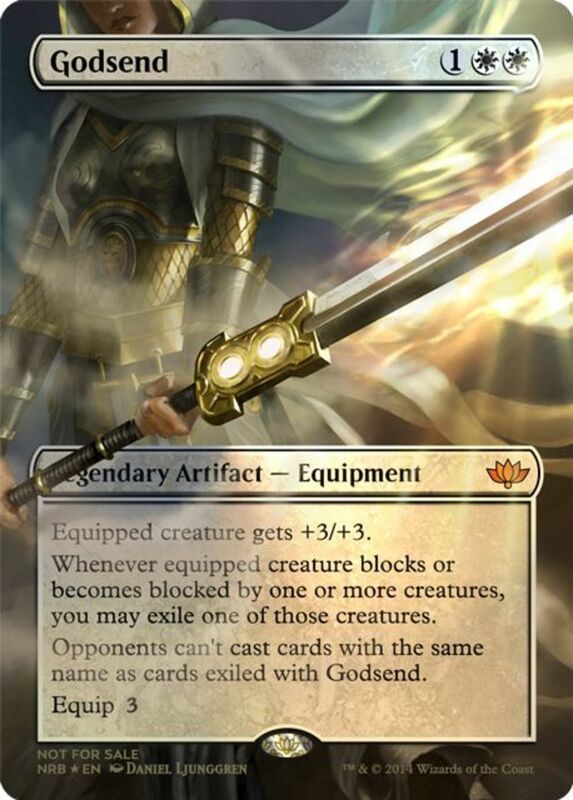 Use your second Isochron Scepter to cast Swan Song. Hold Priority and use your first Isochron Scepter to cast Dramatic Reversal. Let Dramatic Reversal resolve, untapping both Isochron Scepters. Re-use the now untapped second Isochron Scepter to cast Swan Song, targeting your own Swan Song. 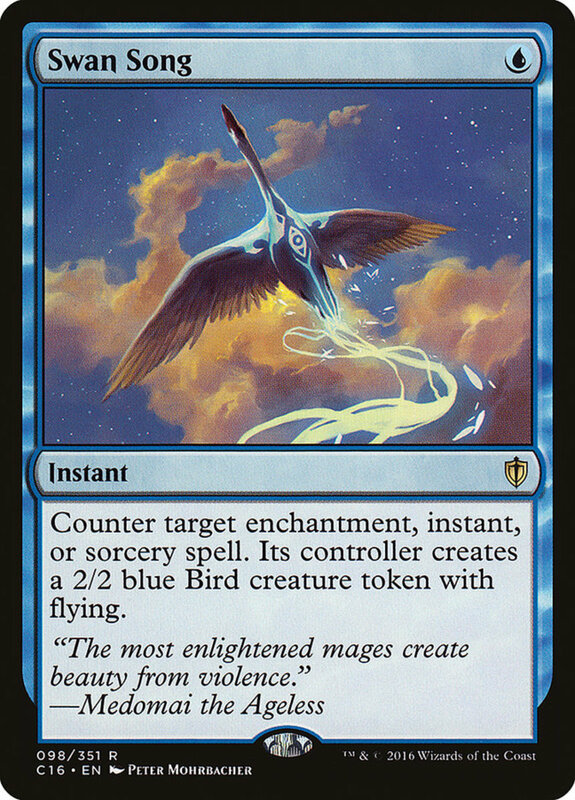 Let it resolve to get a 2/2 Bird token. Use the first Isochron Scepter again to untap both of your Scepters, while still keeping the original spell on the stack. You then repeat these steps until you have an infinite number of swans. 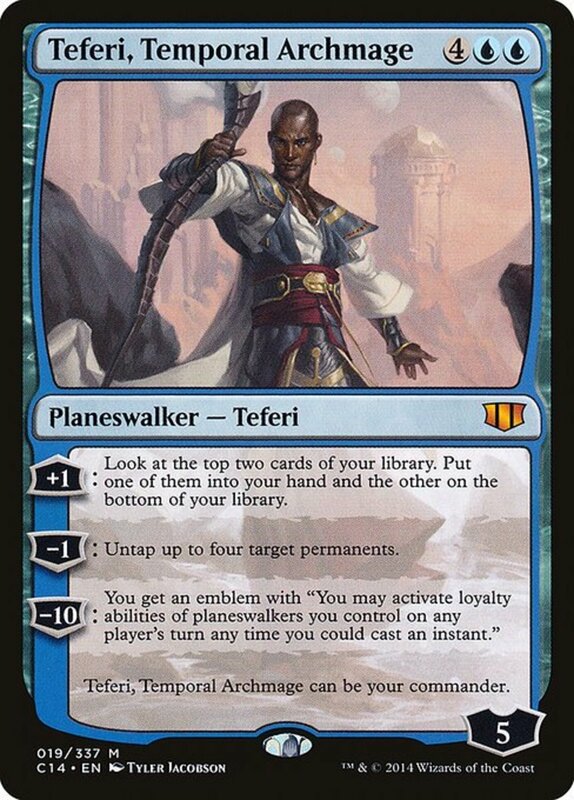 Teferi, Temporal Archmage is a great commander, because he is a major piece of an infinite mana engine when paired with The Chain Veil. 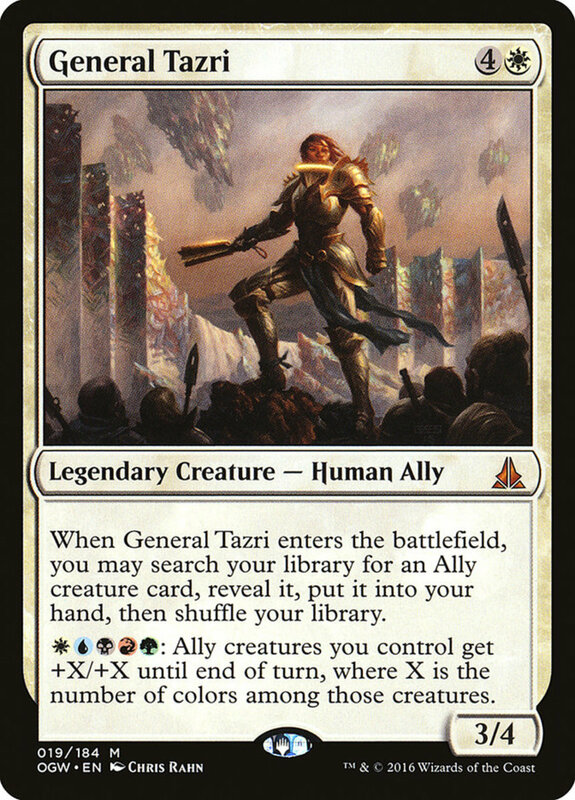 The nice thing with this engine is that you only need to tutor for once piece since Teferi is always available to play from the command zone. 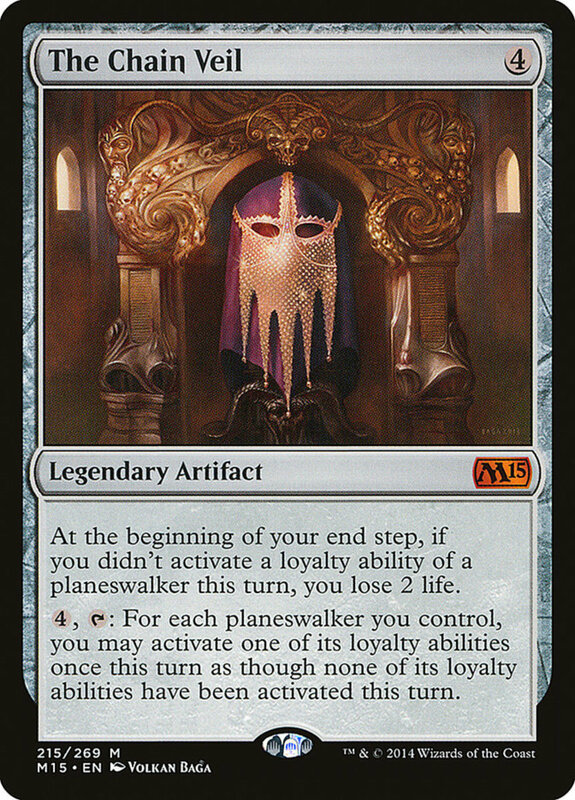 This engine works by allowing Teferi to play his ( -1 ) loyalty ability to untap the Chain Veil and any other mana-producing permanents you choose. 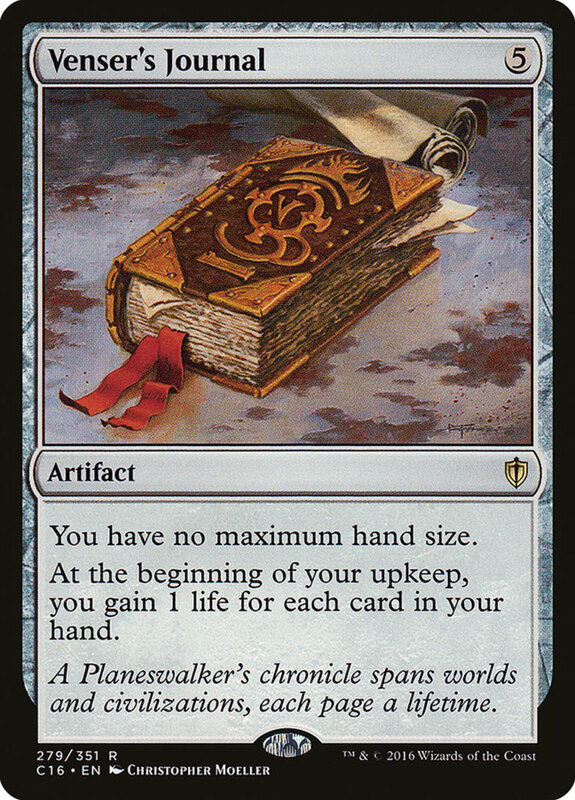 As long as your mana permanents produce more than a total of four mana then you can generate as much mana as you would ever need. 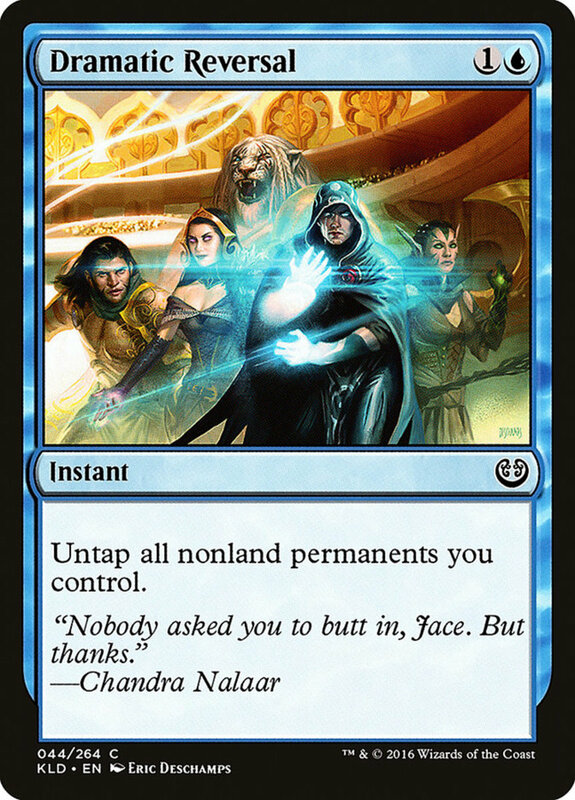 When your Teferi kills himself from losing loyalty, you should have enough mana in your pool to recast him over and over, producing infinite mana. There are any number of combos you can dump this mana into, but often Brain Geyser or a similar effect is used to make your opponents draw their entire deck and lose the game. This engine is the ultimate tutoring engine, enabling some insane combo consistency, whatever your combo of choice might be. 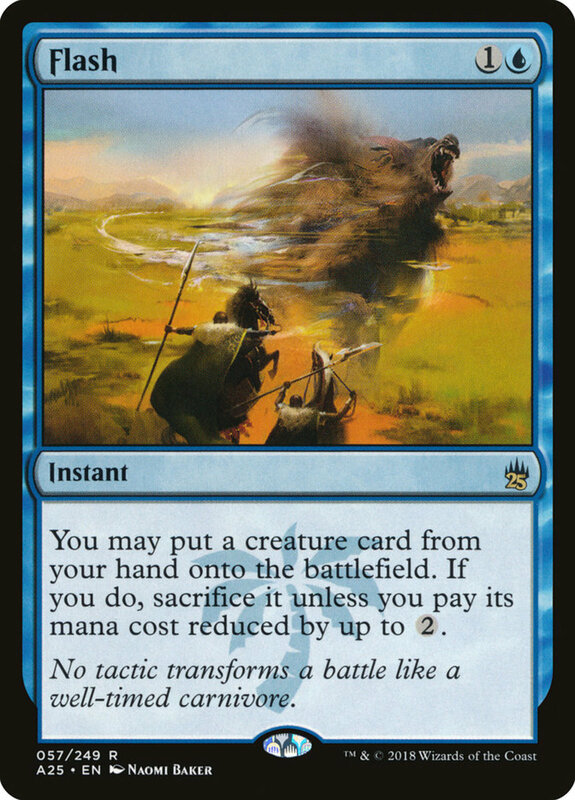 This engine involves reanimating Razaketh onto the battlefield while one other creature and four lands are in play. 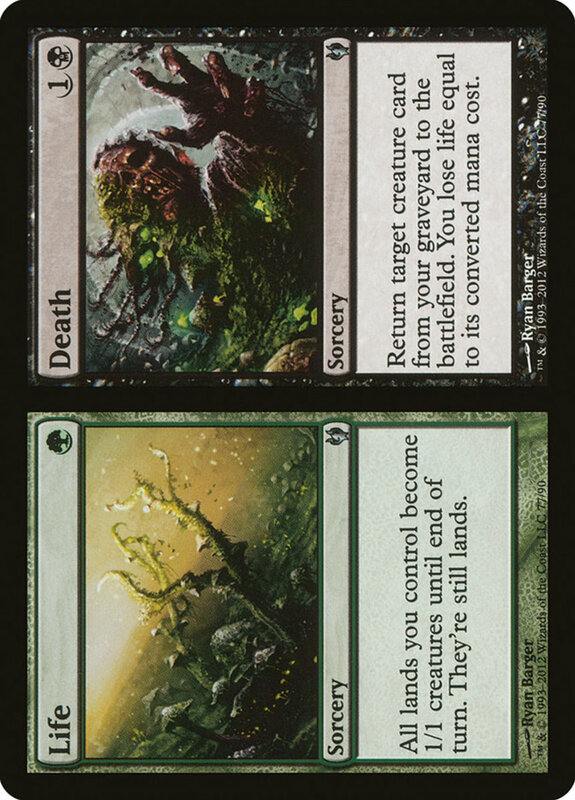 Sacrifice the creature to get Life // Death and cast the Life half of the card. 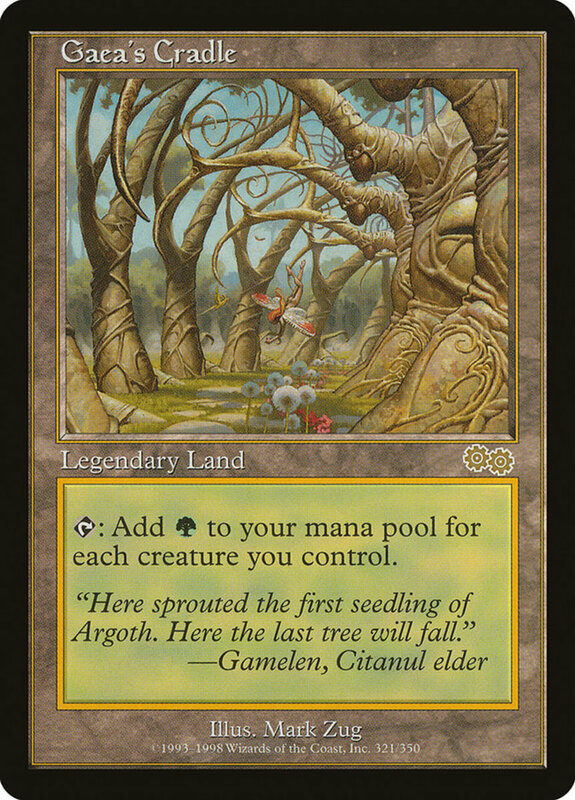 Sacrifice a land to go get Gaea's Cradle and put it into play. Generate mana and continue to tutor up your combo pieces to win the game. Need to draw your whole deck? Need to draw it at instant speed? Need to draw your whole deck at instant speed while being protected from losing this turn? This engine does it all and is one of the top methods of winning in CEDH. 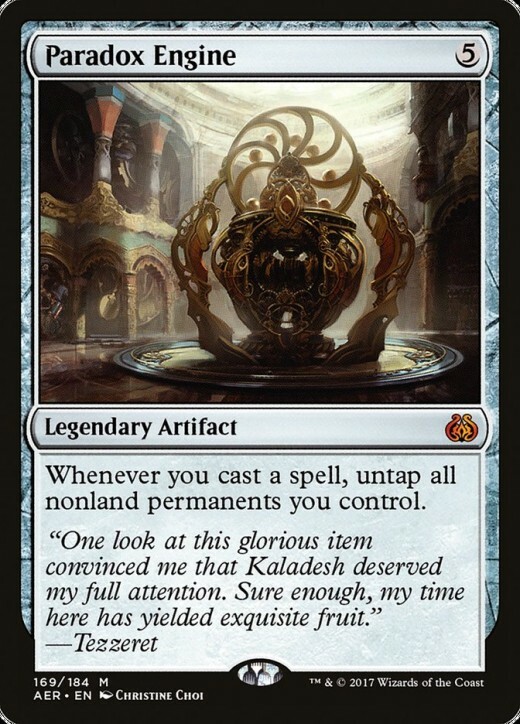 Just pair this with a Laboratory Maniac and free counterspells and once you get going, your opponents will have a really hard time recovering. This is also an amazing engine to use in Aetherflux Reservoir Storm decks and Eggs style decks. This will give you all your free-to-cast mana artifacts, which can generate mana to carry out your win. If you run a deck with Esper colors, you pretty much should always have an Ad Nauseam engine built into it. Probably the quickest and easiest way to product infinite colorless mana. 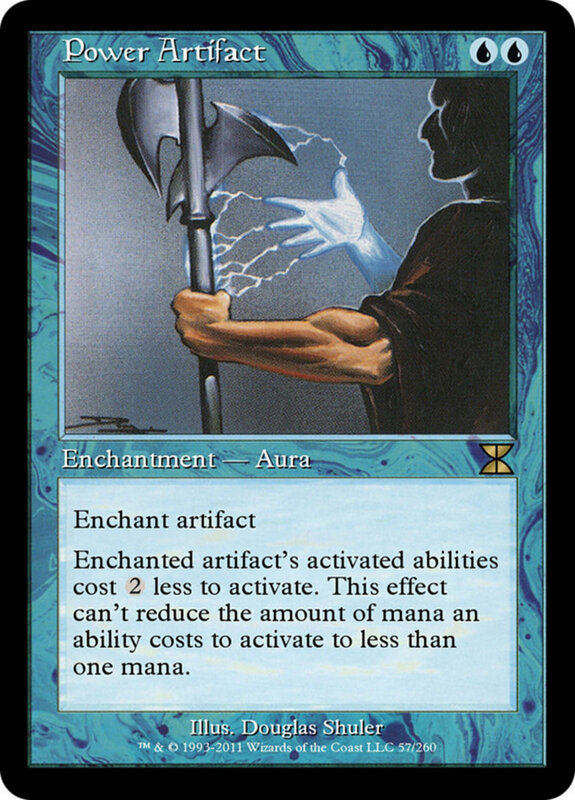 You essentially just enchant Grim Monolith with Power Artifact, tap the Grim Monolith for three colorless mana. 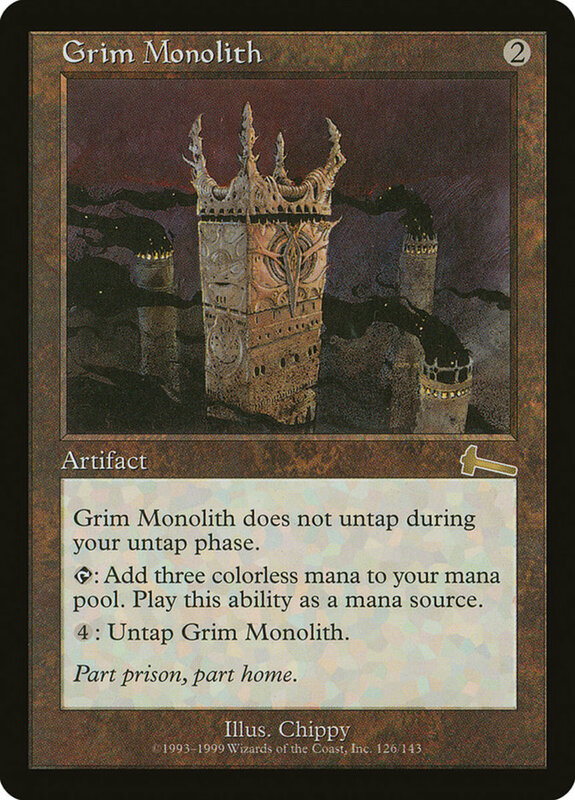 Untap Grim Monolith with two of that mana, rinse and repeat. Each tap will net one colorless mana and you can repeat this an infinite number of times. 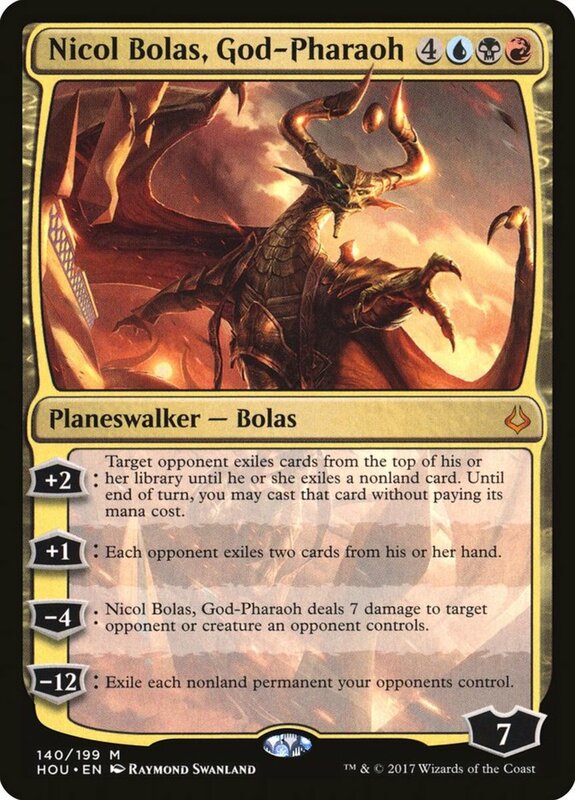 From there, you can win with a Braingeyser effect to cause your opponents to overdraw their deck, or, my personal favorite, cast an infinitely large Walking Ballista and ping all of your opponents down to zero. 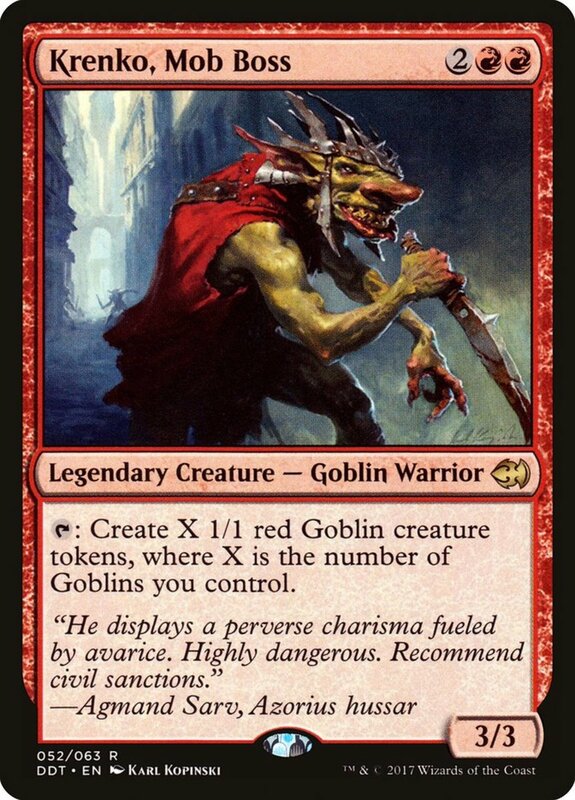 That's right, there is a one-card engine in the format and he has a long history in EDH. Dumping your whole deck into the graveyard is probably one of, if not the most powerful effect in the game. This guys does that all by himself. Once you dump your deck in the graveyard, the typical way to win is through flashing back Dread Return on a Laboratory Maniac or Angel of Glory's Rise, which will return Laboratory Maniac and Alchemist's Apprentice to the battlefield. You then draw your card and win the game. 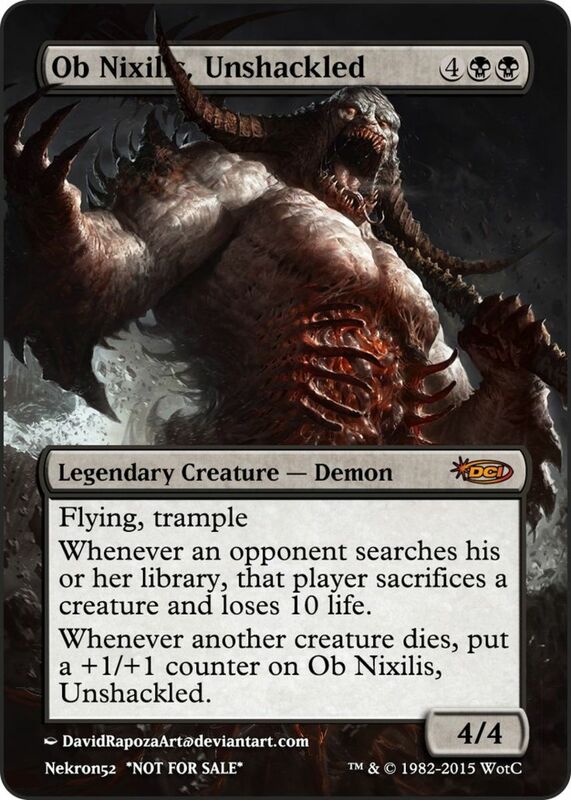 The real downside of the card is that he has summoning sickness when he comes into play and he has to survive three other players trying to kill him. This is probably a big reason why he doesn't see as much play these days as he once used to. If you'll excuse the pun, Paradox Engine is one of the best engines in the current meta. Not only does it create tons of mana when coupled with mana artifacts/mana creatures and spells, but it can also cause repeated chains of tap effects. 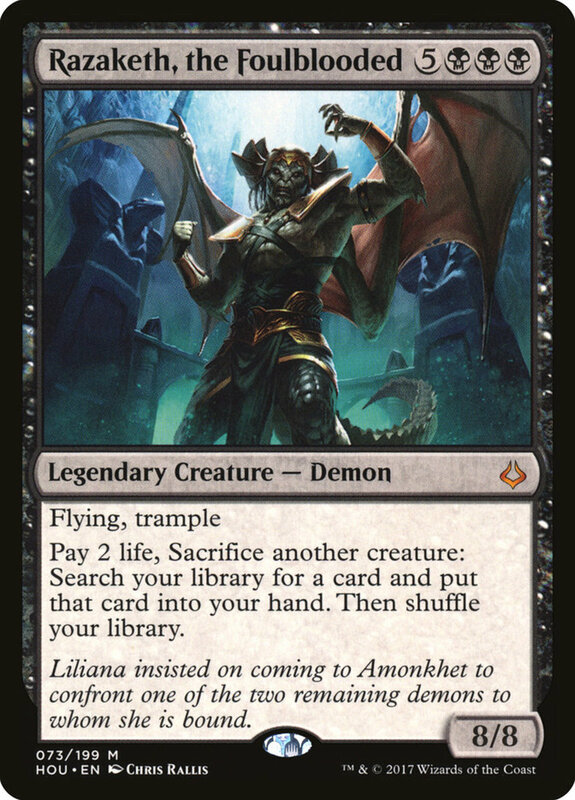 One deck that seems to have gained the most from this card is Captain Sisay. Captain Sisay can tutor for the Paradox Engine (because it's a legendary), then become repeatedly untapped by the Paradox engine to tutor more pieces of a combo. The fact that it's an artifact really lends it to every color combination and playstyle. 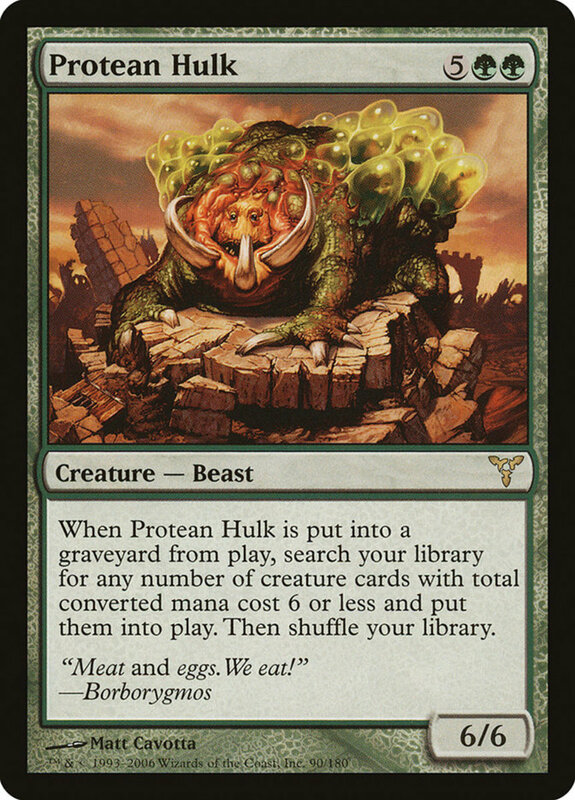 There are many many card combinations in Competitive EDH that can do some pretty powerful things. The engines I've listed here are just a few of the vast pool of possibilities. 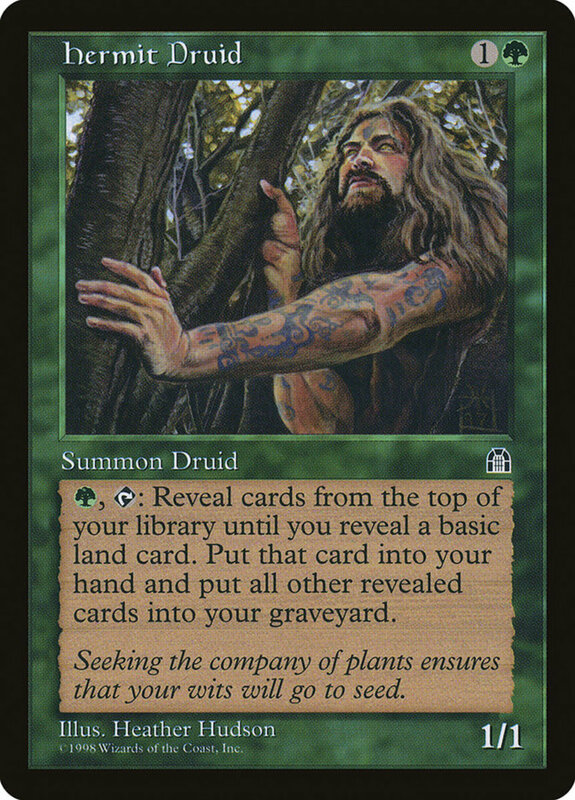 What powerful engines do you use in your decks? Let me know in the comments below.